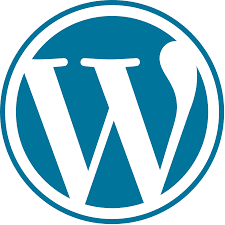 Wordpress is one of the most popular CMS in the world. It comes with lot of great features and tons of free as well as paid plugins. Some survey says wordpress is used by 70% of websites developed on PHP. By using below 9 tips you can increase your website loading speed and user experience. This is the great way to improve wordpress website speed is plugins. You should remove or deactivate unnecessary plugins. I personally recommend to delete unnecessary plugins from your website because of they are affecting your site’s performance as well as consuming your server space. There are hundreds of caching plugins are available and can be easily installed. Below two caching plugins are most popular and used by some very high traffic websites. While creating wordpress theme, you should keep below tips in your mind. Remove unnecessary images, js, css files from your theme folder. Make sure all the images used in your theme, are optimized and are in correct format : jpg, png, gif. There are some plugins are available on wordpress.org like ‘WP Smush’ that can help you. Don’t use too many templates. Combine multiple css files into a single file. Hard code the static values into your theme. I know that, this is not good practice but believe me it can help you in improving performance. Install Lazyload plugin ‘jQuery Image Lazy Load ‘ on your website. It will not only speed your page loads, it can also save your website bandwidth by loading less data for users who do not scroll down on your pages. Increasing home page load speed is very important. By following below tips you can speed up home page. Reduce number of posts on home page. I recommend showing between 5-7. Show excerpts instead of showing full posts. Remove unnecessary widgets from home page. Add below code in your root .htacces file . It will help browsers to not fetching any static contents each time. You can use ‘WP-Optimize’ plugin, which i used in all my wordpress websites. This plugin can help you reduce extra clutter in your database. Content Delivery Network (CDN) is a collection of distributed servers that deliver css, java scripts and images to user based on the geographic location of that user. Most of popular websites are making use of CDN. I personally recommend that don’t use shared hosting you should invest in proper hosting. In the last line: I have used these tips on my other blogs and all the things are working fine. Please share your opinion in the comment box below. Thanks.